Last week, YouTube personality Jon Jafari made a series of offensive remarks about race during a debate over on Steve Bonnell’s Twitch channel. Earlier today, he released a video on the Jon Tron Show YouTube channel to try and set the record straight. 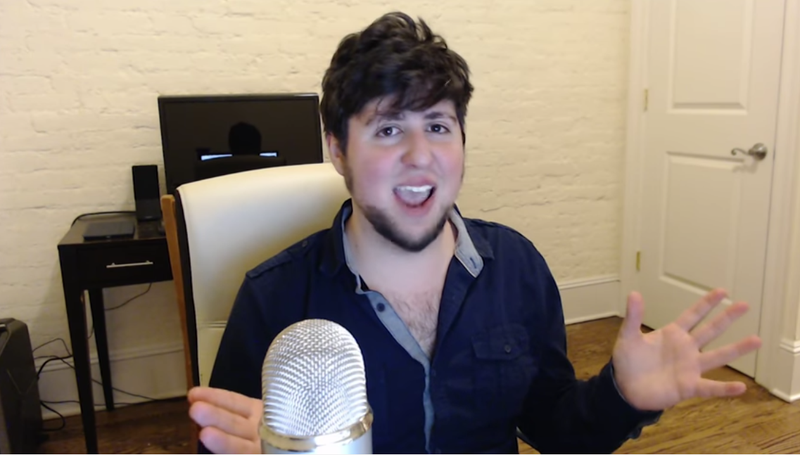 “I said lots of stuff that could be misconstrued in all sorts of ways,” said Jafari, better known to his fans as JonTron. An alumnus of the let’s play group Game Grumps, the YouTuber has become better known for making comedy videos ever since he left the group in 2013. In an effort to clarify statements like “if they immigrate they need to integrate, but also we don’t need immigrants from incompatible places,” and “I don’t think a pure society is possible, but in terms of a demographic majority, I don’t know that a nation can exist without one,” the YouTuber tried to lay out his views in a more prepared and ordered manner, away from the “pressure” of his almost two hour debate on Bonnell’s stream. “I was trying to speak to the increasing tribalization of our culture,” said Jafari, and he believes the remarks brought up offhand late at night on a “random” Twitch stream viewed by tens of thousands of people didn’t accurately reflect this. Specifically, he feels that the national discourse is too racialized, and that double-standards prevent people from recognizing “discrimination” against white people. “Discrimination certainly exists but I do believe it goes all ways,” he said. As evidence of this, Jafari pointed to a sketch by Samantha Bee, where she jokingly blames white people for Trump’s election. “I suppose you could guess the reaction if Samantha Bee said black people ruined America for voting overwhelmingly for Barack Obama, which they did both times,” he said. As far as Jafari is concerned, the “same standard” should apply in both examples. Despite the perception by some that Jafari wants some form of racial segregation after talking about how “white people are aggressed against in their own nations,” the YouTuber says that he doesn’t think that white Americans are superior, and admitted the nation’s dark history regarding white supremacy. “We as a country have had a terrible history of dealing with race...from slavery to Jim Crow to even the Irish,” he said. At the same time, Jafari believes that people ignore “uncomfortable statistic[s]” that paint certain races in a bad light, like his unsubstantiated claim that wealthy black Americans commit more crimes than poor whites. Only whites get criticized for thinking in negative “racial categories,” he seems to feel. The video is no doubt an attempt to quell the fears, frustration, or confusion of some fans who said his remarks about “demographic enclaves” and “immigration” have made them feel uncomfortable about supporting his channel going forward. “People looking at this think I’m some kind of explicit ethno-nationalist, but I’m not,” Jafari said.